Asiad Steels is one of the renowned distributors and suppliers of Inconel 601 Nuts, which are manufactured from alloy containing nickel as base element with additions of chromium. In regards to petrochemical processing, Inconel 601 Hex Nuts is used for catalyst regenerators and air preheaters in the manufacture of high-density polyethylene. 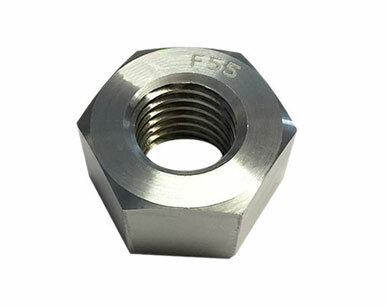 Inconel 601 Heavy Hex Nuts have an immense number of applications due to its anti-corrosive characteristics. Common applications of Inconel 601 Lock Nuts can found in the power generation, aerospace, and pollution control industry. Applications of Inconel 601 Self-Locking Nuts include heaters, stills, bubble towers and condensers for processing of fatty acids; evaporator tubes, tube sheets and flaking trays for the manufacture of sodium sulfide; and equipment for handling abietic acid in the manufacture of paper pulp. Inconel 601 Nylon Insert Nuts is also used for industrial furnaces, radiant tubes, themocouple tubes and heat treatment equipment, baskets, muffles, retorts, petrochemical process equipment and aircraft components. Inconel 601 Coupler Nuts is as well use in industrial furnace retorts and muffles, baskets, jigs and fixtures, wire annealing tubes which have all been produced in this excellent high temperature material. Alloy 601 Hex Nuts can operate from cryogenic temperatures up to 645 Degree F (340 Degree C). Alloy 601 Heavy Hex Nuts has good mechanical properties at elevated temperatures. 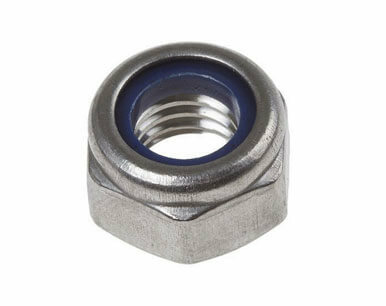 Alloy 601 Lock Nuts is a solid solution nickel chromium heat resisting alloy which gives outstanding performance at temperatures up to about 1200 Degree C. Buy Alloy 601 Nuts at reasonable rates from us. 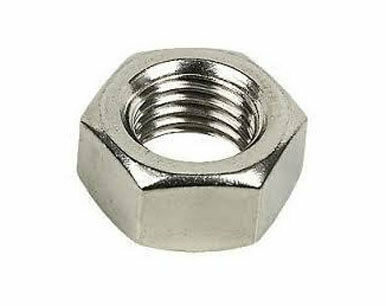 We are Exporter of Inconel 601 Nuts in Worldwide Such as India, Slovakia, Chile, Namibia, Japan, Colombia, Nepal, Gambia, Singapore, Malaysia, Oman, Estonia, Italy, Nigeria, Romania, Ireland, Iraq, Switzerland, New Zealand, Poland, Netherlands, Macau, Gabon, Angola, France, Bolivia, Saudi Arabia, China, Russia, Mongolia, Hungary, Ecuador, Yemen, Puerto Rico, South Africa, Libya, Tibet, Mexico, Lebanon, Bangladesh, Qatar, Greece, Czech Republic, Sweden, Belarus, Zimbabwe, Ukraine, Israel, Poland, Croatia, Kazakhstan, Germany, Canada, Vietnam, Ghana, Kuwait, Kenya, Belgium, Pakistan, South Korea, Trinidad & Tobago,Tunisia, Costa Rica, Morocco, Denmark, Lithuania, Austria, Bhutan, Norway, Finland, Afghanistan, Taiwan, Azerbaijan, India, Iran, United Arab Emirates, Venezuela, Australia, Algeria, Brazil, United States, Portugal, Hong Kong, Philippines, Turkey, Thailand, Jordan, Chile, Iran, Egypt, Peru, Bulgaria, Sri Lanka, Argentina, Indonesia, Mexico, United Kingdom, Spain, Bahrain, Serbia, Nigeria. We are Suppliers of Inconel Alloy 601 Nut in India Such as Mumbai, Doha, Brisbane, Thiruvananthapuram, Sydney, Gurgaon, Jaipur, Lagos, Gimhae-si, Montreal, Manama, Santiago, Courbevoie, Bangkok, Kolkata, London, Kanpur, Calgary, Dallas, Kuala Lumpur, Jeddah, Atyrau, Dubai, Bhopal, Chennai, Ranchi, Jakarta, Baroda, Edmonton, Port-of-Spain, Dammam, Indore, Ludhiana, Nagpur, Cairo, Coimbatore, Kuwait City, Muscat, Sharjah, Caracas, Tehran, Nashik, Hong Kong, Bogota, Rio de Janeiro, Al Jubail, Chandigarh, New York, Navi Mumbai, Howrah, Toronto, Los Angeles, Istanbul, Visakhapatnam, Algiers, Mumbai, Abu Dhabi, Madrid, Faridabad, Ankara, Hyderabad, Colombo, Seoul, Surat, Hanoi, Perth, Karachi, Thane, Rajkot, Busan, Milan, Chiyoda, Secunderabad, Geoje-si, Ho Chi Minh City, Singapore, Pune, Ahmedabad, Granada, Lahore, Aberdeen, Houston, Vadodara, Ulsan, Melbourne, Noida, Moscow, Petaling Jaya, Jamshedpur, La Victoria, Al Khobar, New Delhi, Ahvaz, Pimpri-Chinchwad, Mexico City, Bengaluru, Vung Tau, Ernakulam, Riyadh, Haryana.